“One man loved a girl. “Her parents know about this love. “They catch the man and tie him to a tree. “But her lover never came. “‘But my lover does not come. “‘But he is not home. The sound and music of a Toda love song from the lush green lands of Nilgiri fills the air with soothing harmony. The vast spread plateaus of Tamil Nadu, are occupied by the pastoral community of Todas , settled since centuries. A style of life simple and organised, yet sophisticated defines the Toda tribe. With distinct features- tall and dark, the Todas can be easily identified with their attire. A single piece of white beautifully wrapped in rich red black and white shawl adds to their demeanour. Their traditional settlements ‘Mundh’, constructed using natural resources are interestingly decorated using Toda art form- rock mural painting. 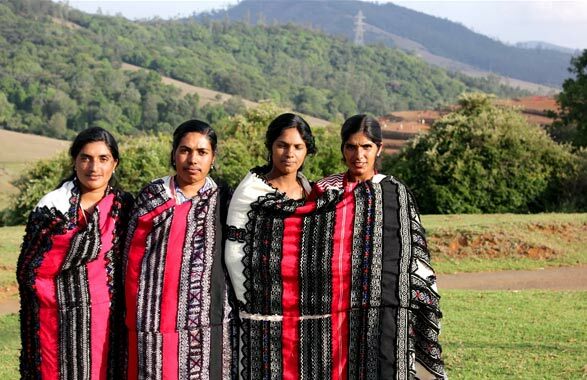 Like other tibal groups, the Todas have their own set of customs and traditions which have close association with nature and life around them. They believe in 1600 or 1800 superior godlike beings, the two most important being On and Teikirzi. On, is the male god of Amnodr, the realm of the dead and Teikirzi is a female deity who lived in the Nilgiris and established Toda social and ceremonial laws. Other important deities are hill-gods, each associated with a particular hill along with two river-gods belonging to the two main rivers. Todas believed that Teikirzi and On first created the sacred buffalo and then the first Toda man. 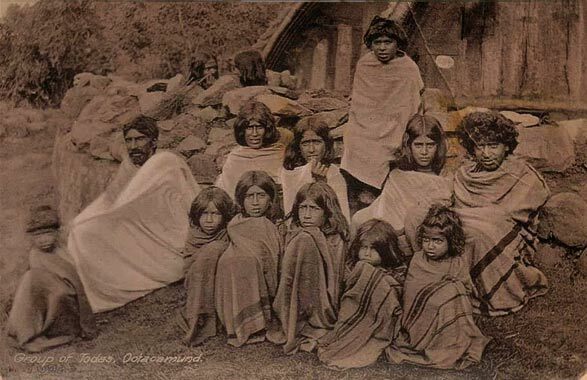 They are believed to have created the first Toda woman from the right rib of the first Toda man. The revered place of the buffalo in Toda society represents a remarkable feature of their life. 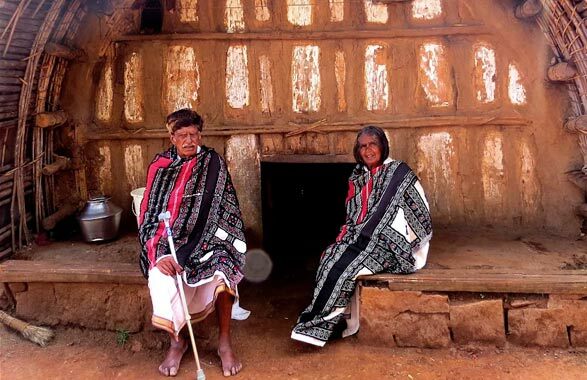 The entire lifestyle and beliefs of the Toda tribe revolves around farming and nature, where their religion is based on buffaloes and their milk, and the dairies revered as temples. During festivities and funeral, songs about the cult of the buffalo are composed and chanted. 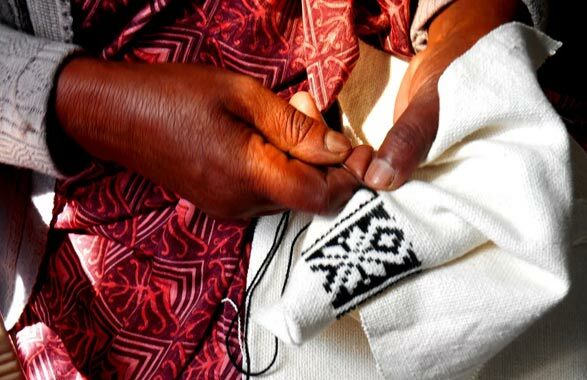 Apart from an interesting range of customs and beliefs, the Toda tribe is famous for their distinctive style of embroidery. 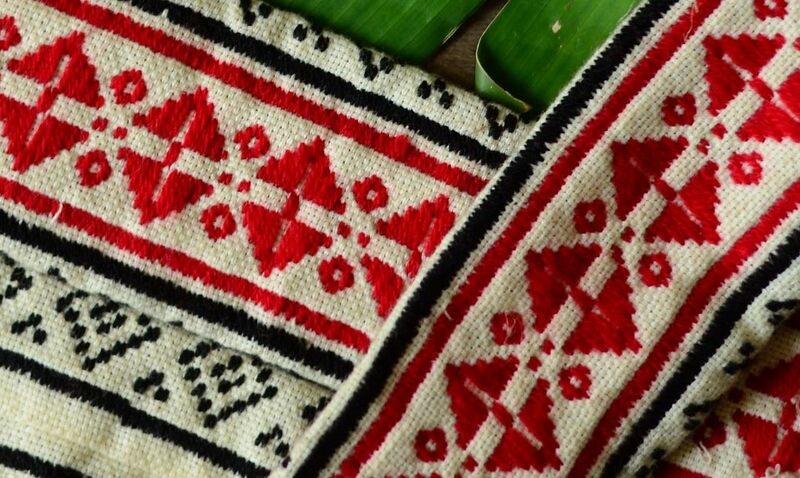 Passed on through generations, the embroidery is done on stripes of red and black colour. 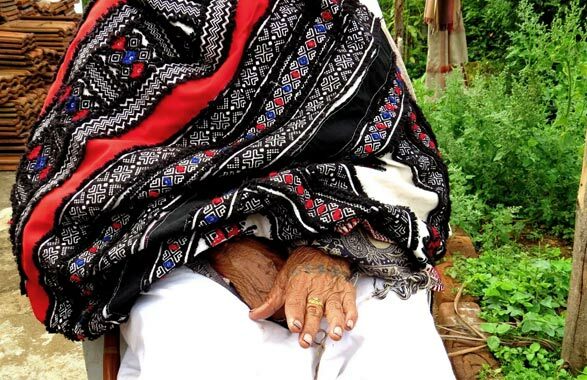 Locally called Pugur, meaning flower, the fine and intricate Toda embroidery is done by tribal men and women on shawls. The shawl adorned with the Toda embroidery is called Poothkuli. Motifs are worked, by counting the threads. Patterns used in the embroidery are similar to the ones used as tattoos by the Toda men and women in the earlier days, so fine that it resembles weaving. Reversible embroidery, on unbleached white cotton woven in a balanced weave structure are woven with three stripes- two of red and one of black. 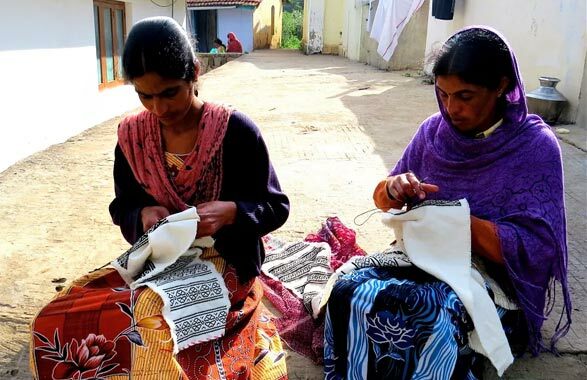 It is in these stripes that the embroidery is worked before the two lengths of the fabric are sewn together with the embroidery motifs and patterns in darning stitch. The embroidery on the shawls which is done on the left of the black stripe (around the two red stripes) is called the karnol, while the embroidered pattern on the right is called the karthal.A close resemblance can be traced between the Toda embroidery with Anatolian motifs, in terms of the crosses and rosettes, along with the bull, an important symbol of a tripartite belief system involving a symbolic colour scheme where Black indicated the Underworld, Red the intermediate realm of Earth, and White the Celestial -the colours of the Toda. Toda embroidery, was granted Geographical Indication (GI) status in 2012. Today, the new generation of Toda’s are drifting towards the wave of modern city culture. You can still find them adorned in the traditional attire. However, how long this unique craft will survive will depend on its interaction with the world. Hello, after reading this remarkable post i am as well happy to share my familiarity here with colleagues.